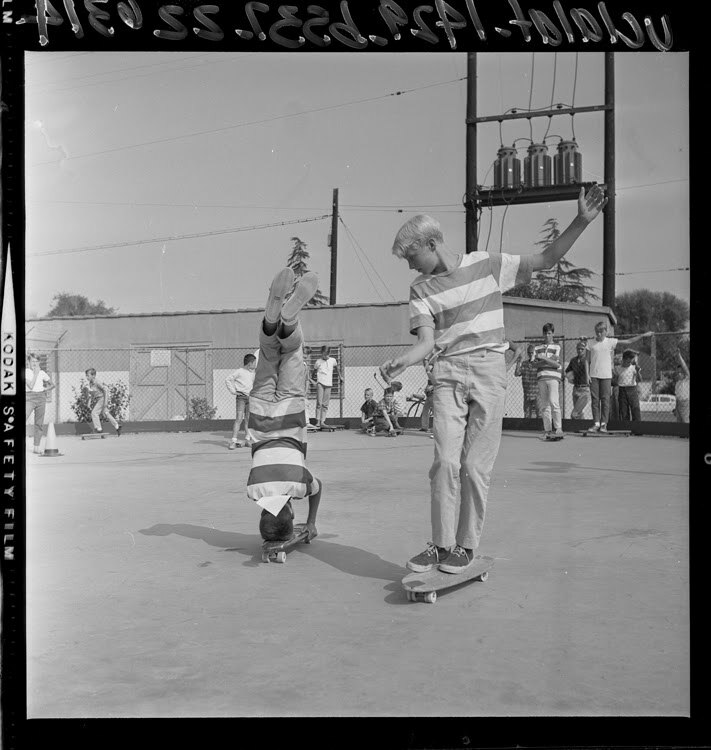 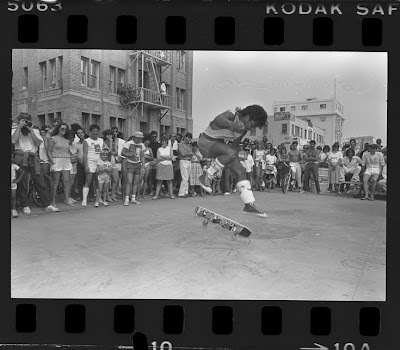 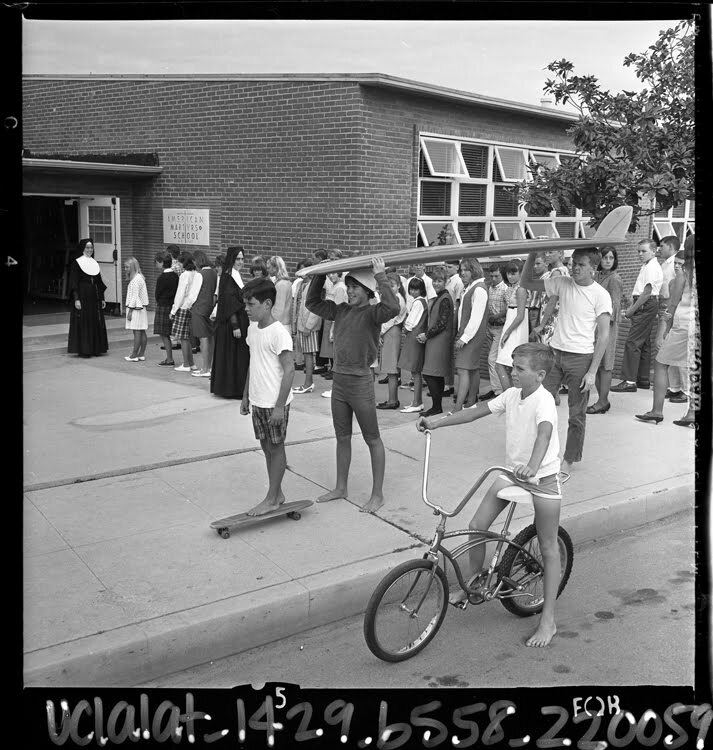 Sidewalk Surfers & a Stingray! 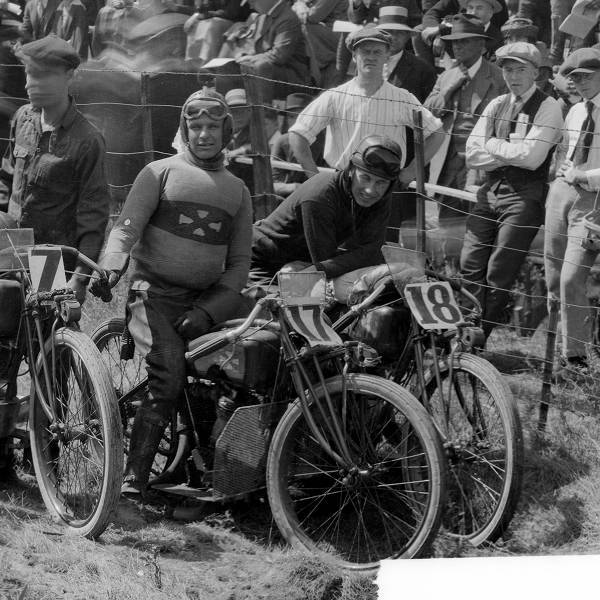 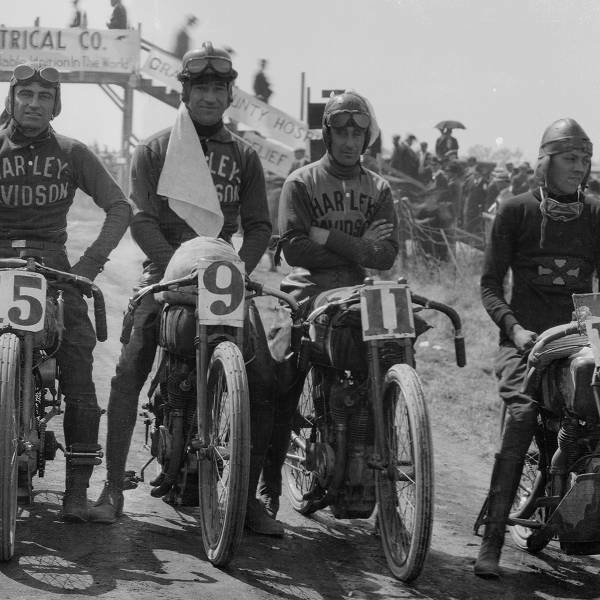 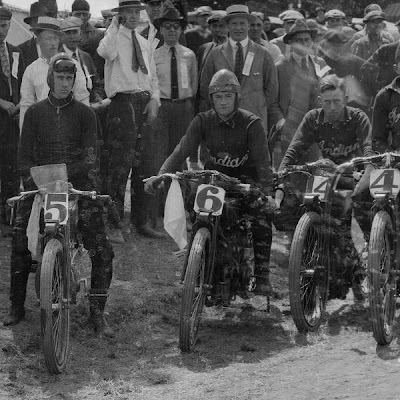 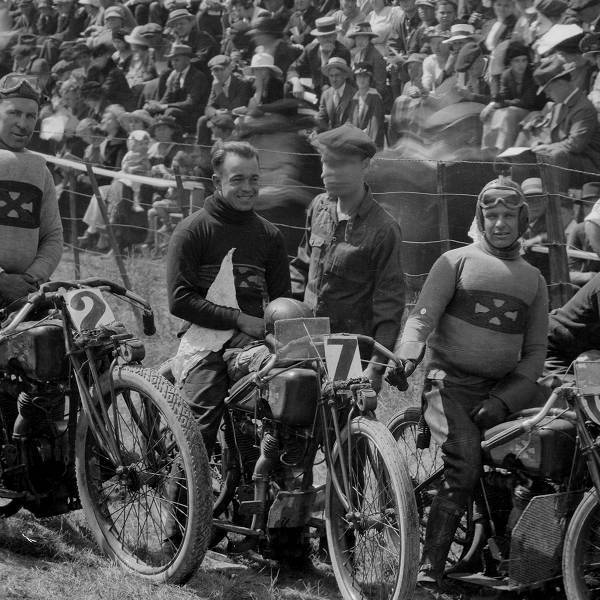 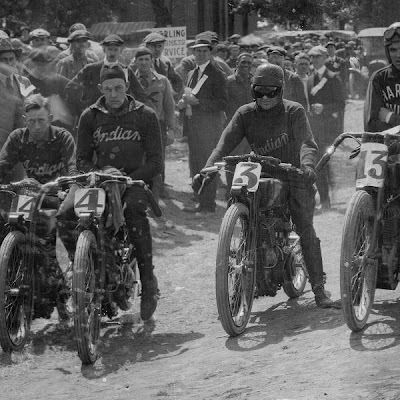 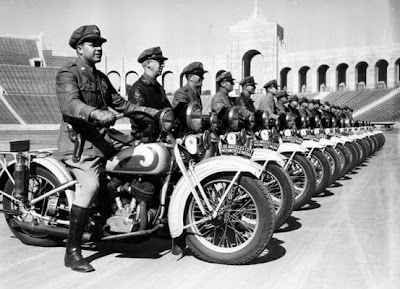 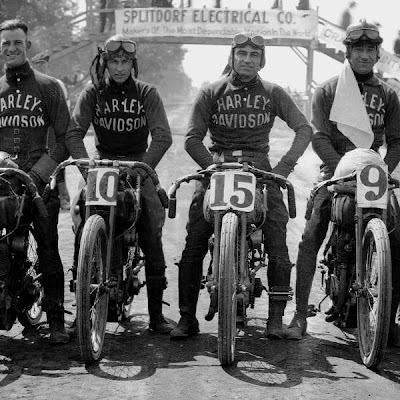 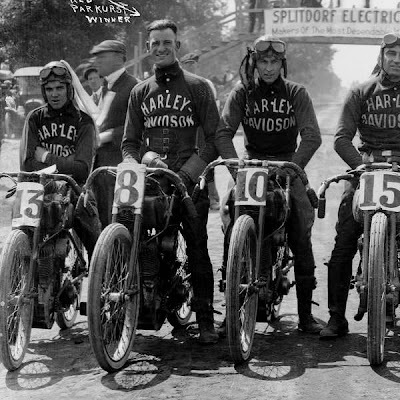 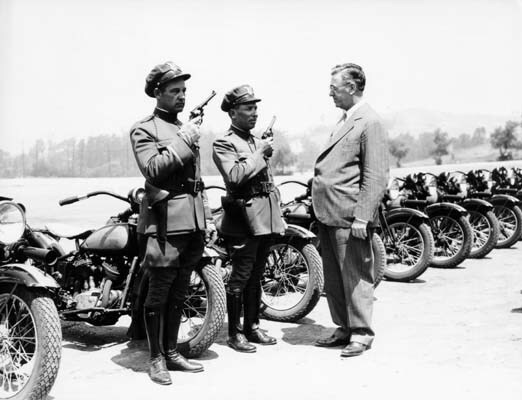 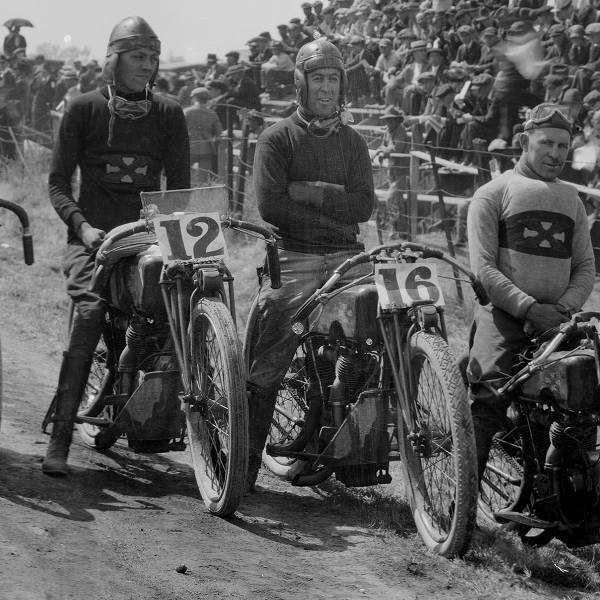 Harley Indian Excelsior 1919 Racing Team Photos! 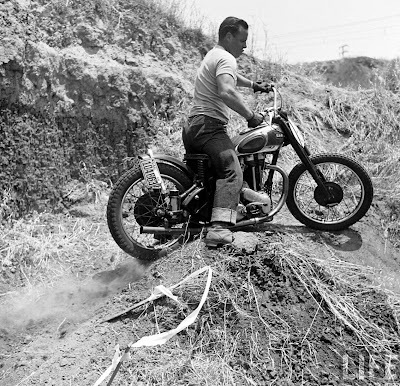 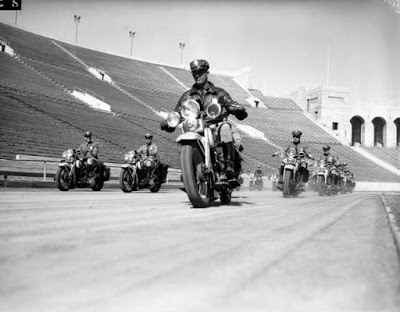 Maybe you already know about this but I just found out you can read most all issues of American Motorcyling Magazine from 1955 onward through Google Books here! 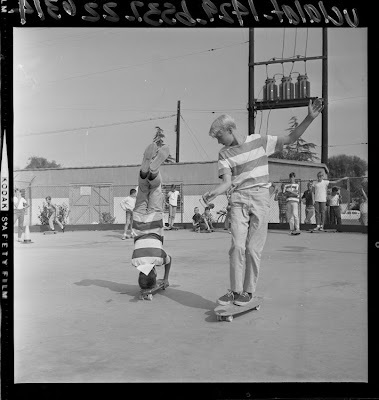 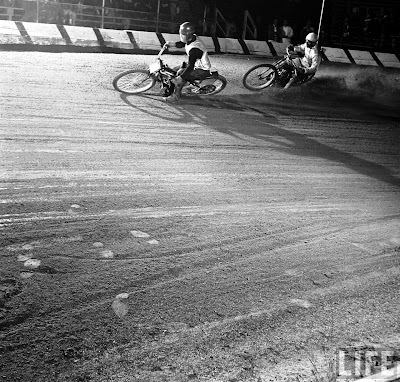 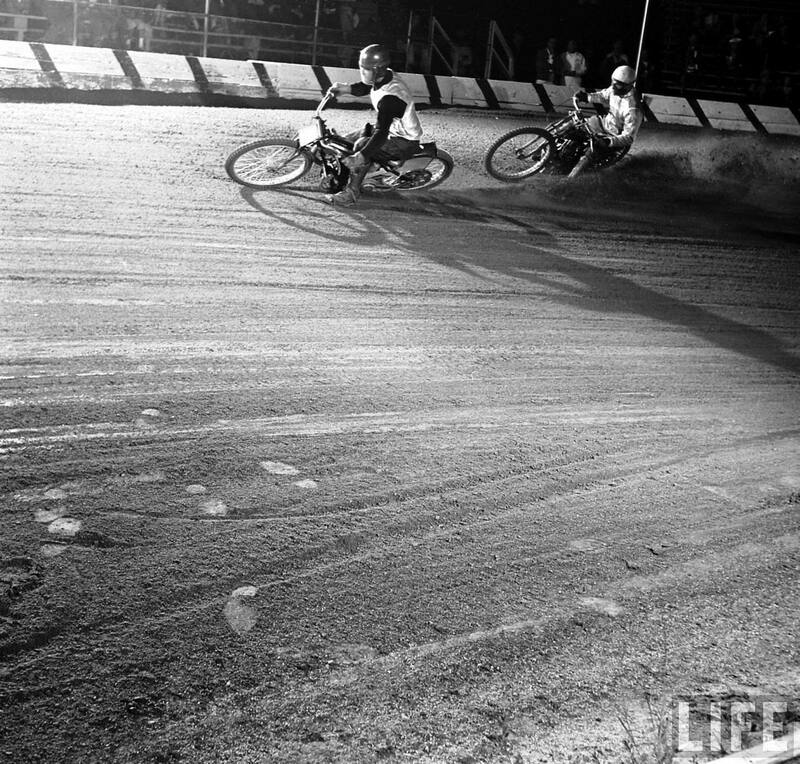 I believe this picture came off a flat track website and when I can find/remember the link again I'll post it. 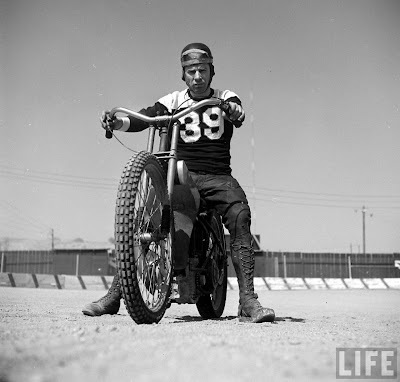 This bike is definitely a great representation of a nice and practical mild custom pre-unit! 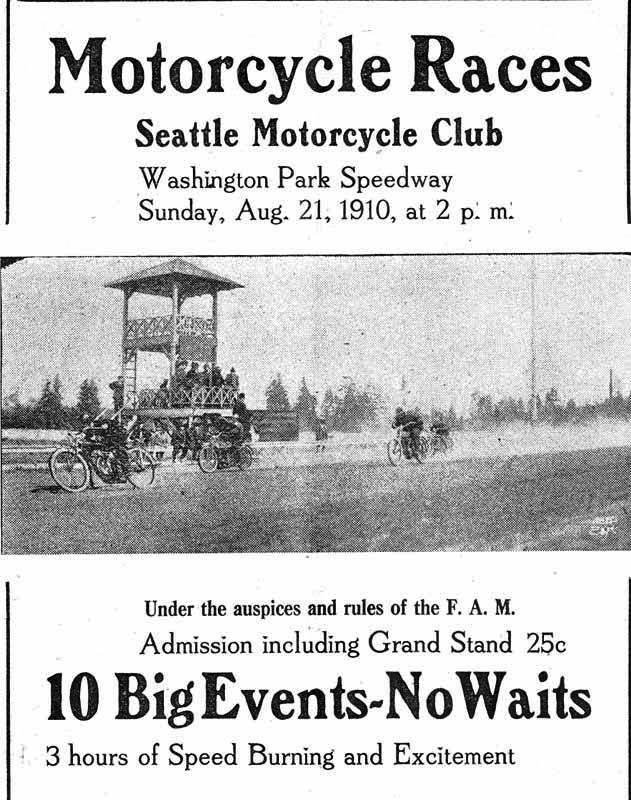 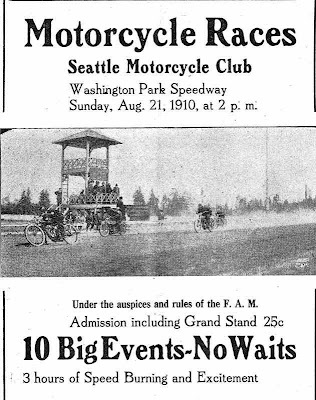 1910 Seattle Motorcycle Club Speedway Race Flyer! 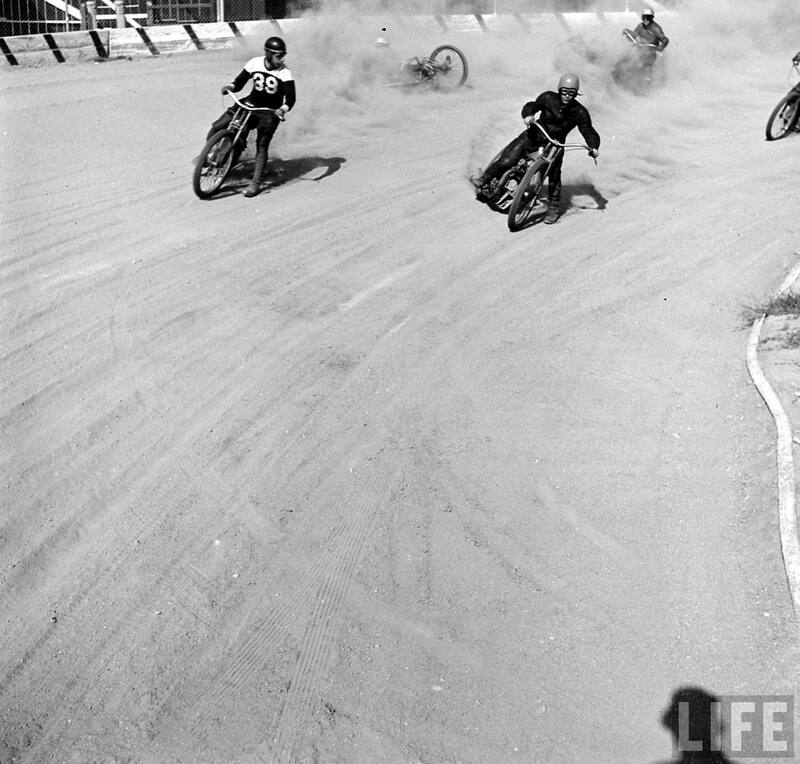 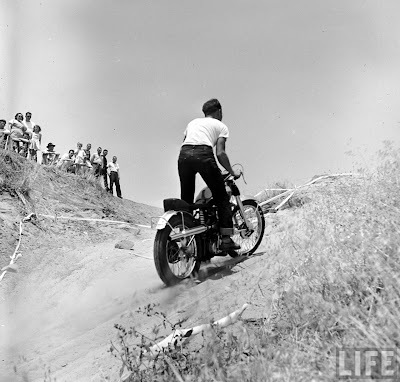 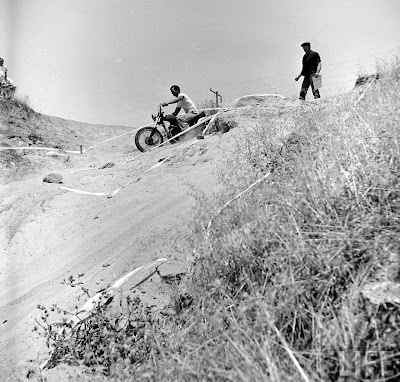 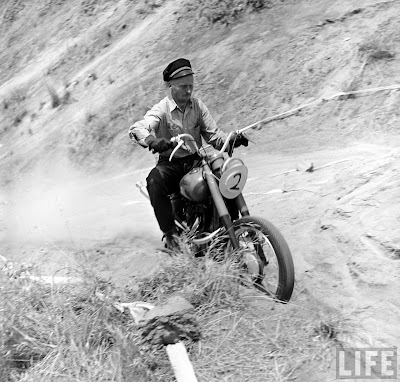 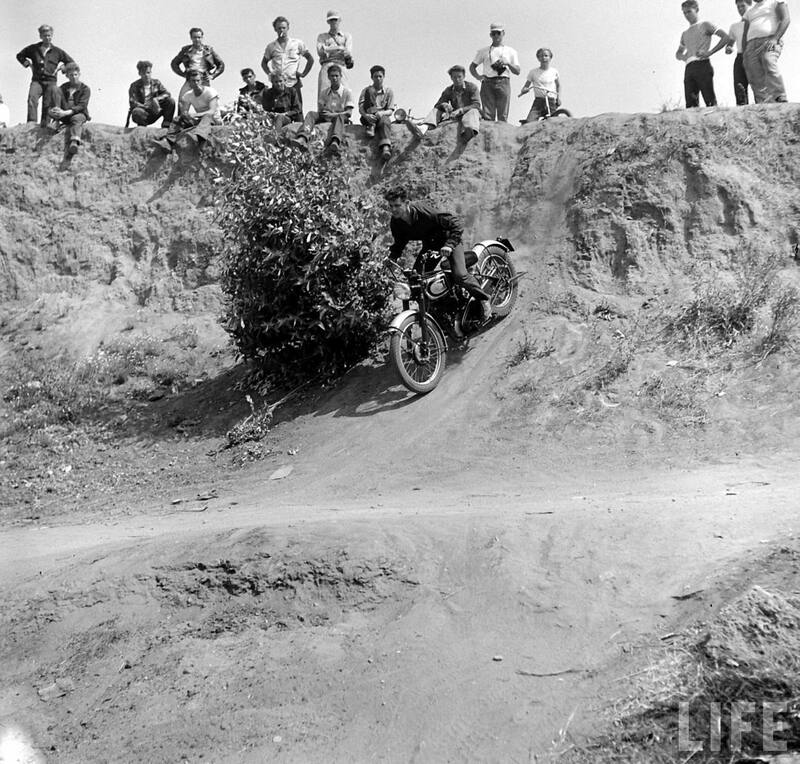 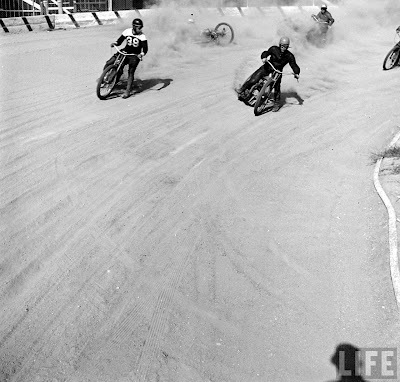 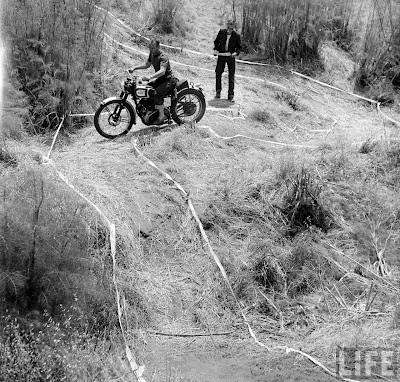 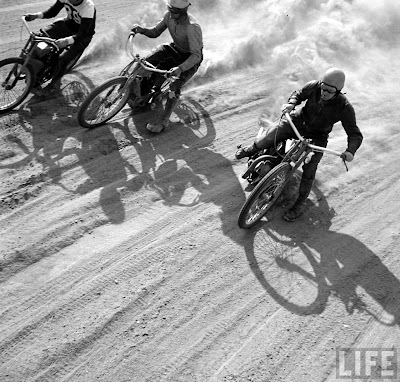 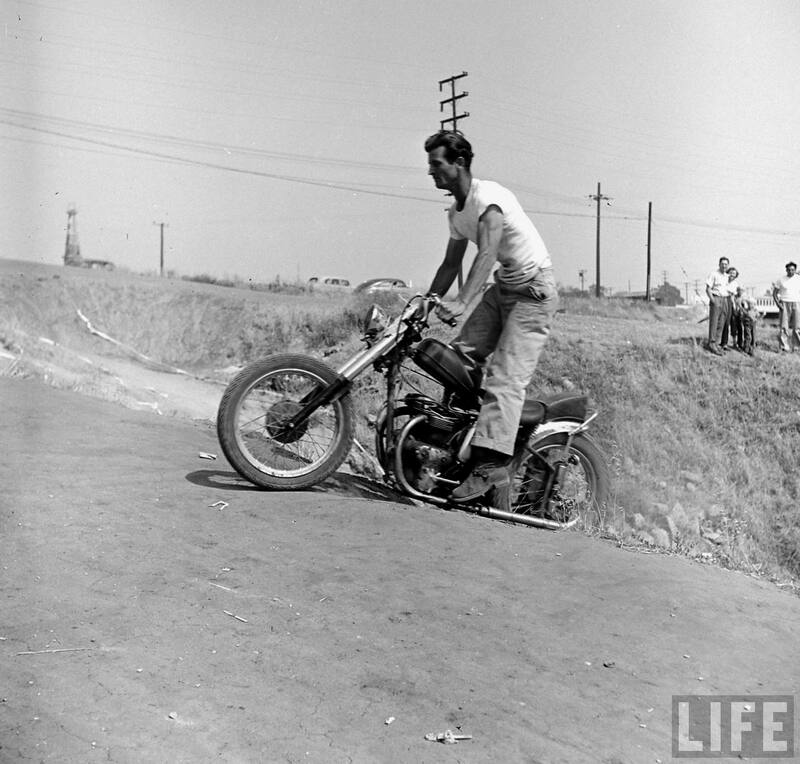 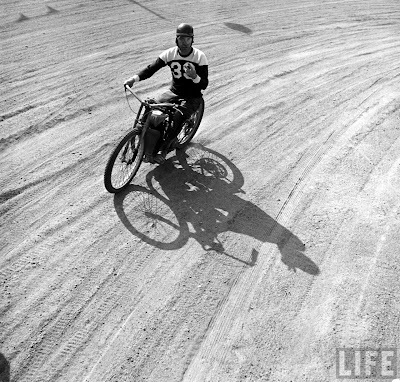 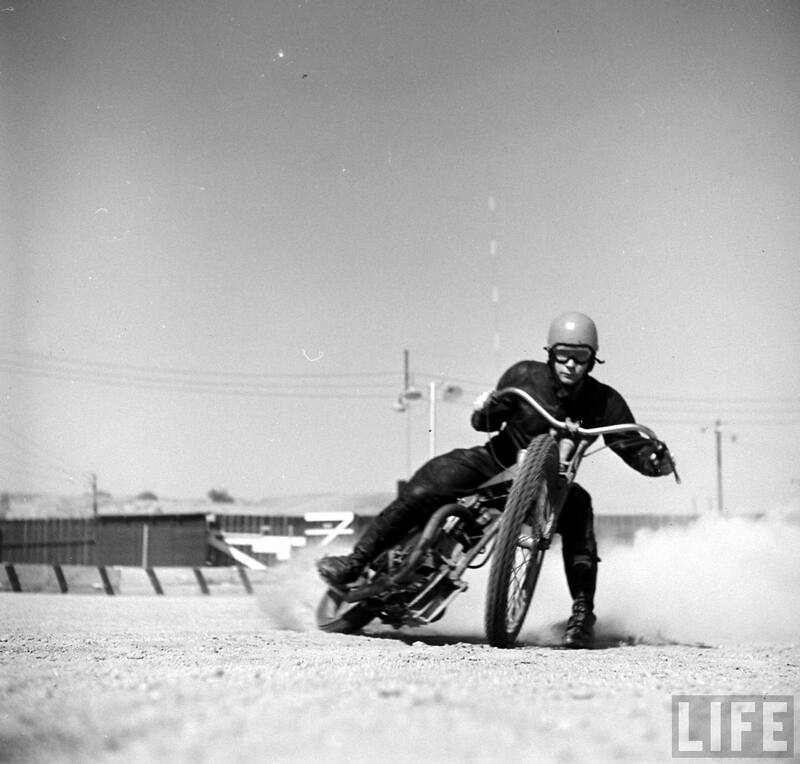 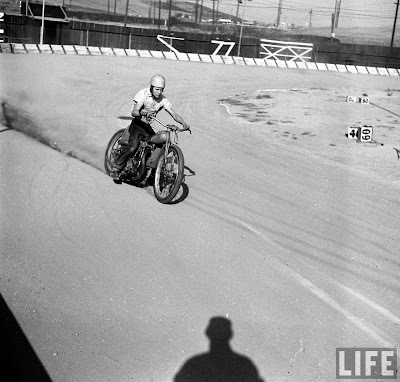 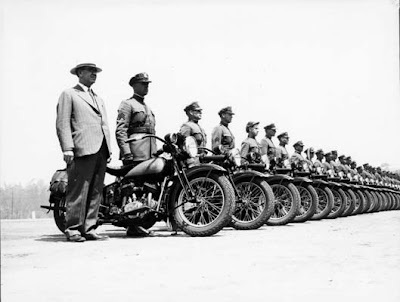 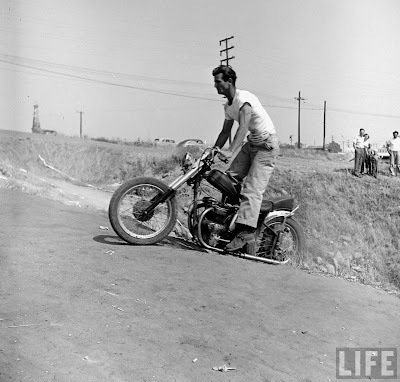 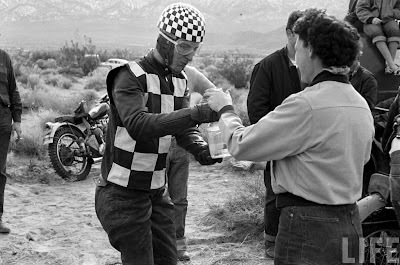 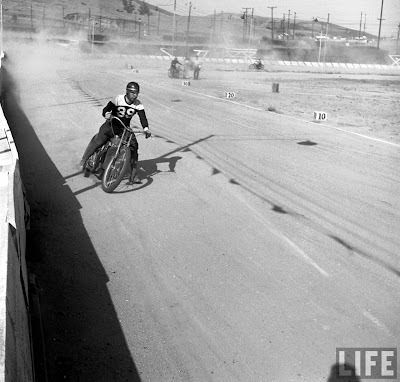 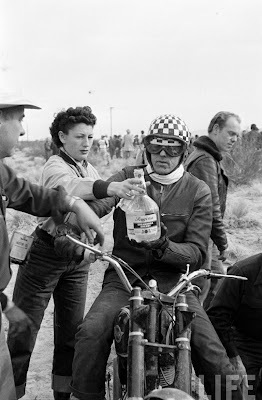 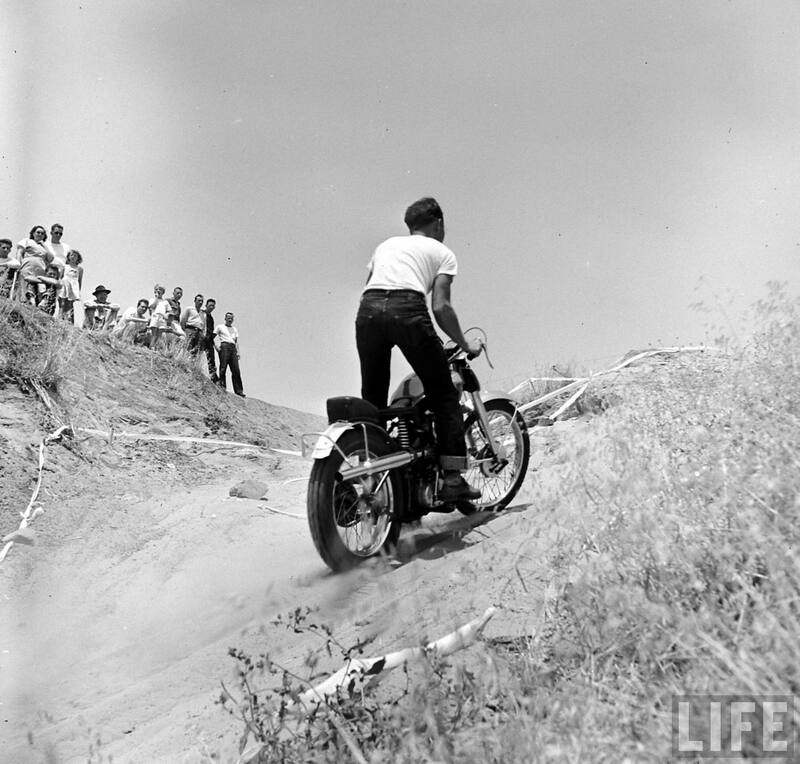 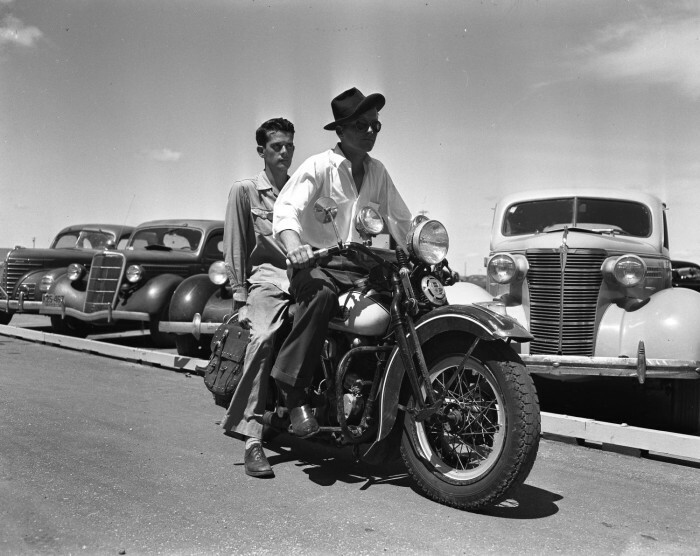 Roland Free @ Bonneville in 1948! 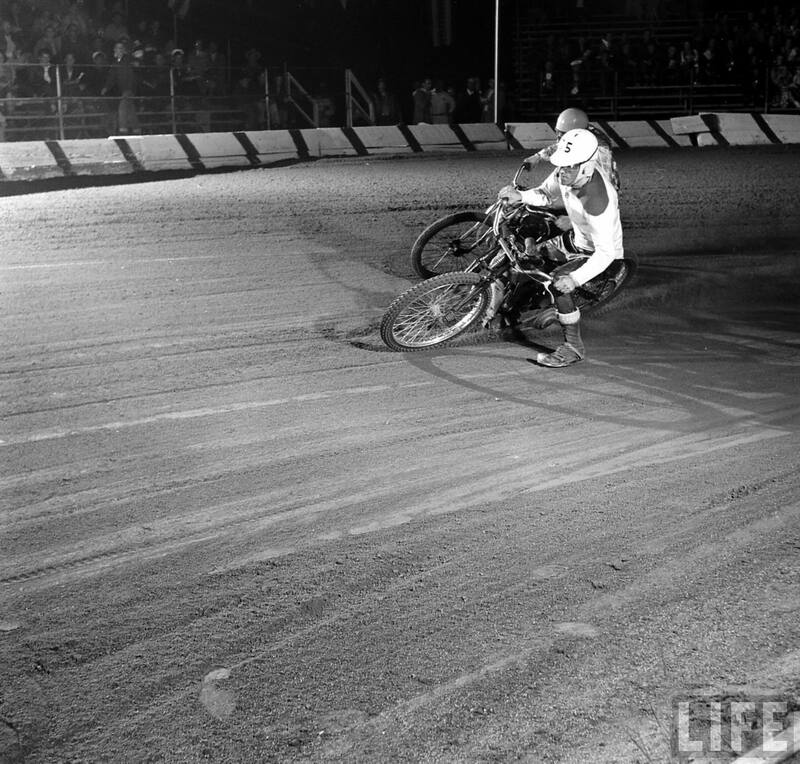 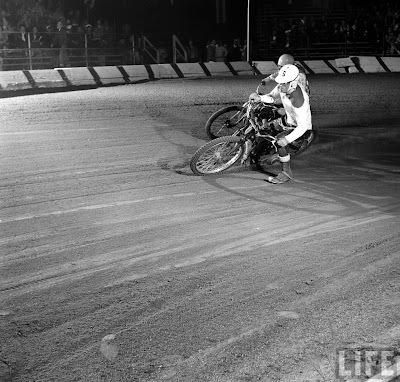 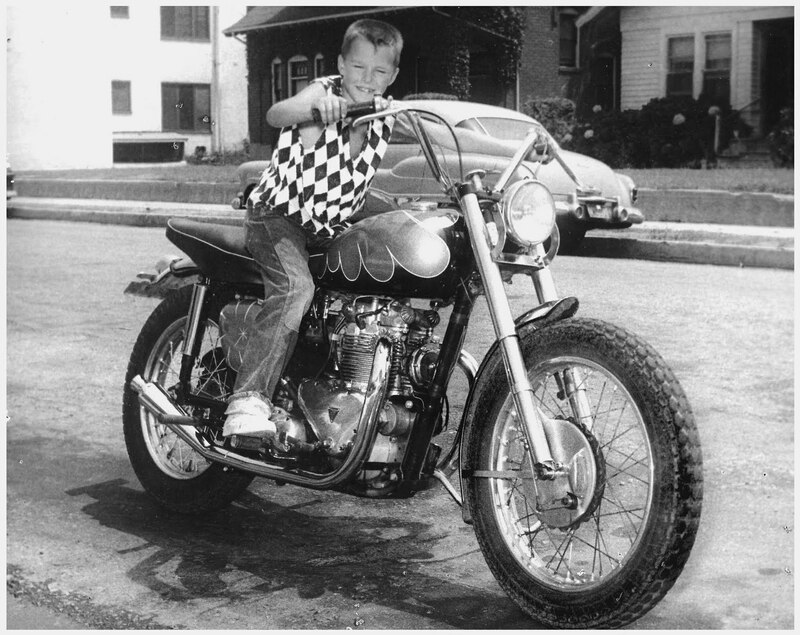 Cycle World Reader's Drag Bike Circa 1963! 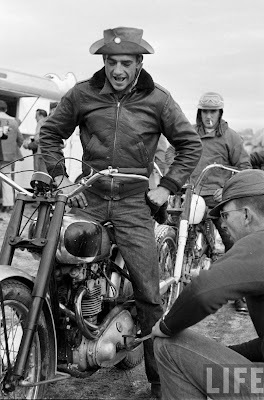 Ride on Wild Side from 1965! A Case for Shock Value or Just Plain Bad Taste? 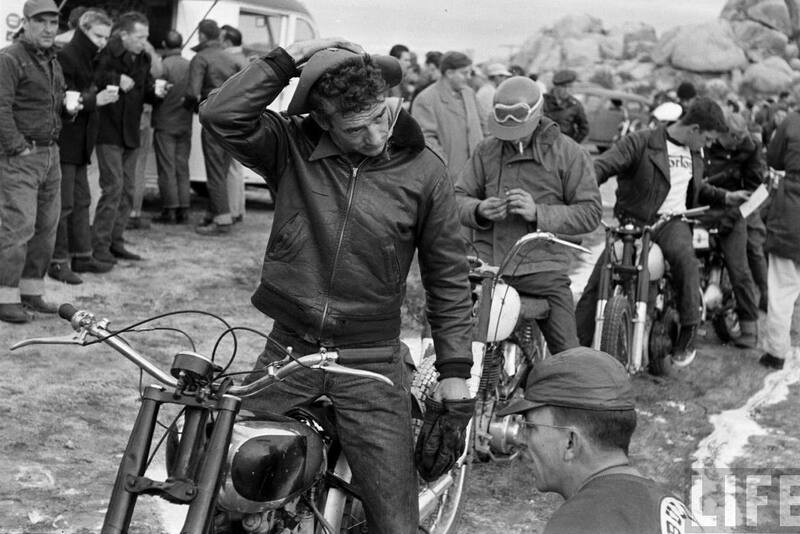 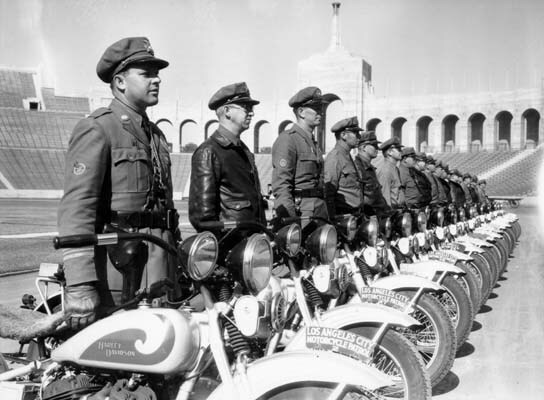 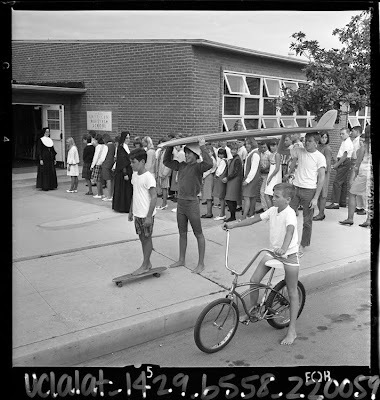 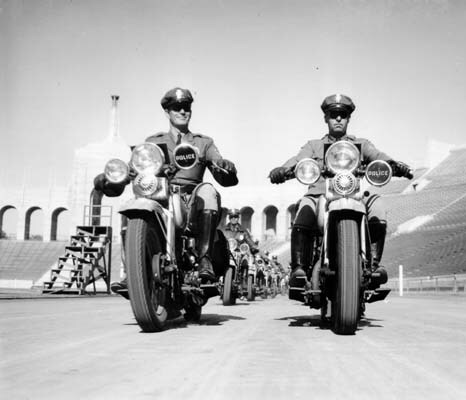 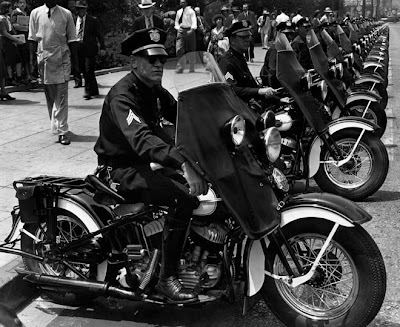 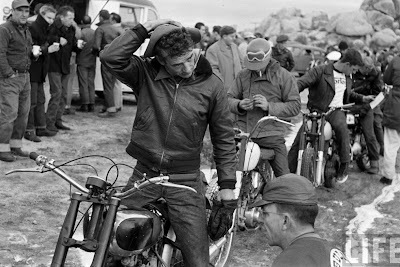 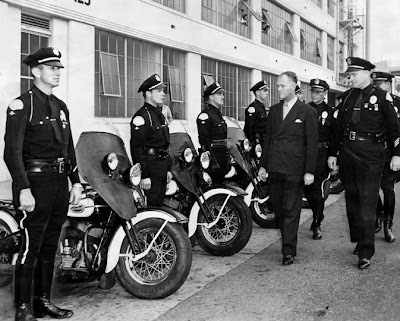 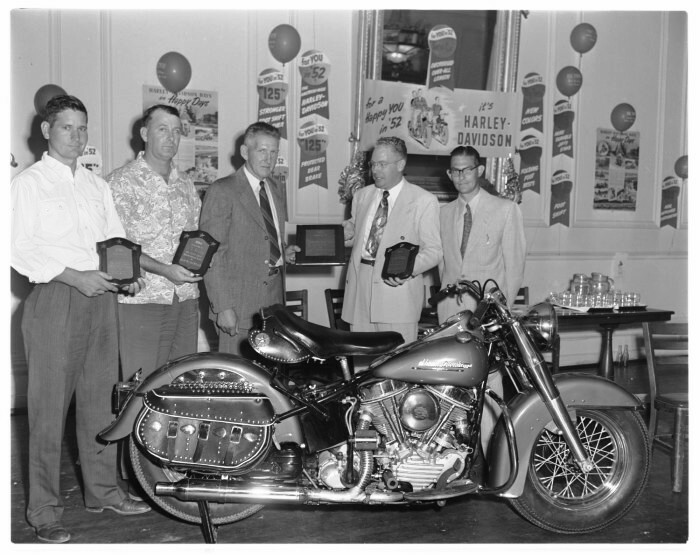 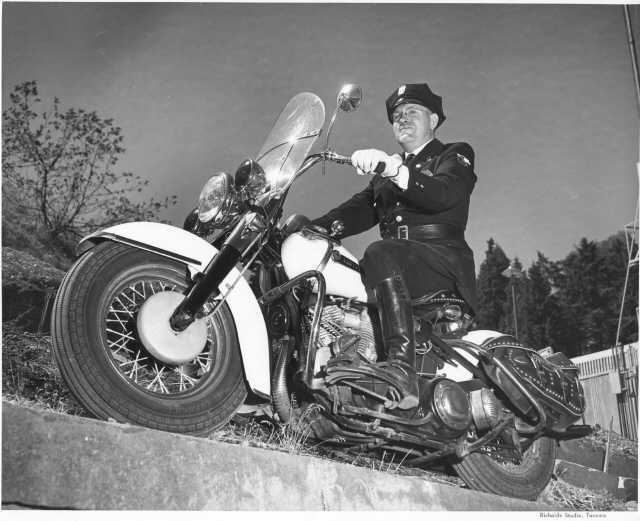 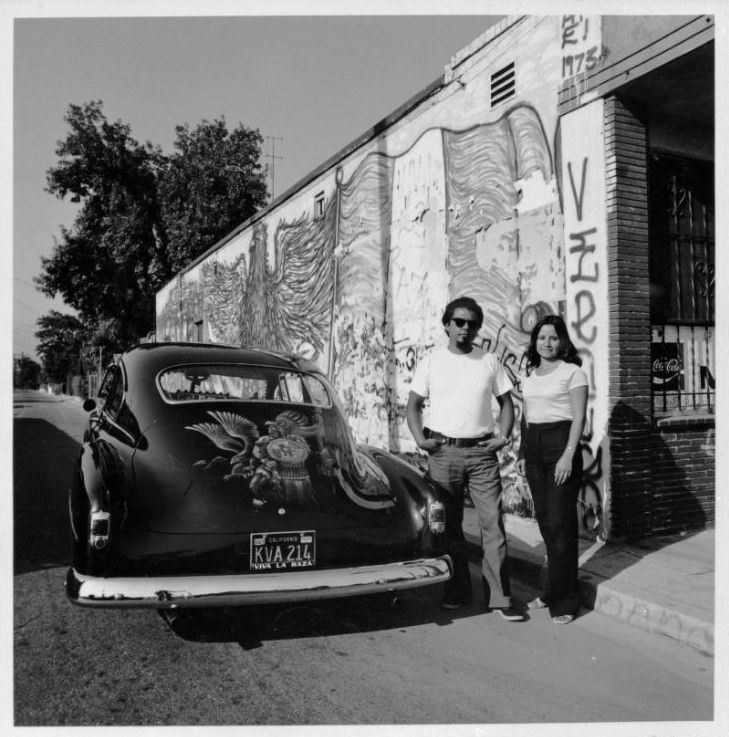 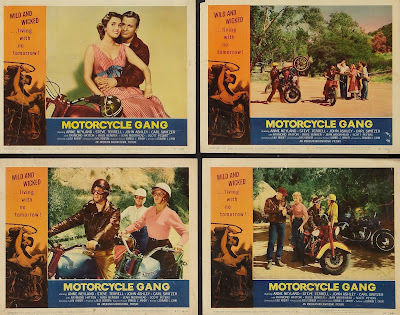 Motorcycle Gang Photo Stills from 1957! Show & Go Cycle's Gigantic Memorabilia Sale! 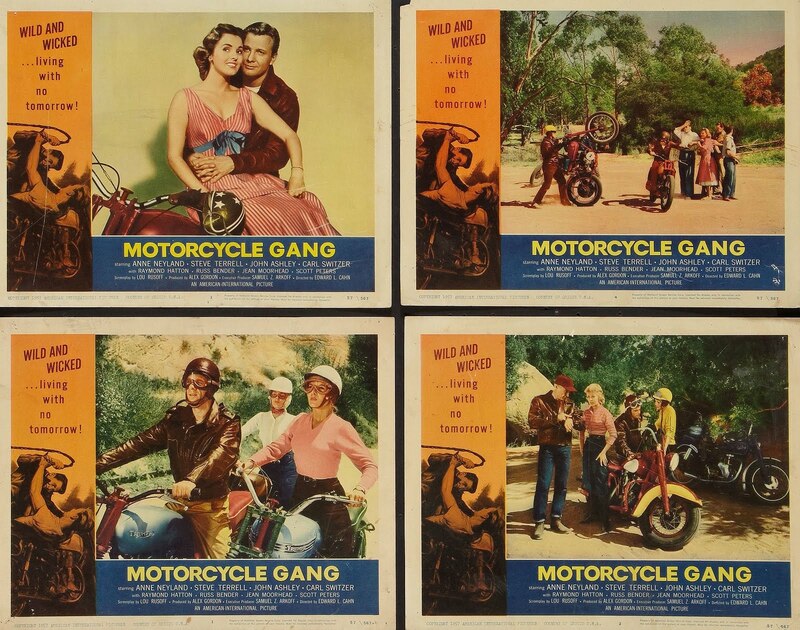 Wild Angels Lobby Cards from 1966!